So you want to audition for the Muppets? Discussion in 'Puppet News' started by Sweetums74, Jul 29, 2005. Thanks, I had confirmed that information as well. "Post 51" has been udpated again to include this puppet information, as well as a confirmed date for the LA Auditions. Todd may be joining our forum soon! Looking forward to it. If anybody has been wanting to call but has been afraid to do so, please do! Todd is super nice and that makes it easy for those folks whose nerves might be on edge! i was at the PofA fest where Disney announced this and they made it very clear that this is like an understudy type deal. the muppeteers are not being replaced. disney wants to make the muppets seen more so if any of the muppeteers cant make an apperance the understudy gets called in. no need to worry no one is getting replaced. I don't want to hijack this thread, so I'll be as brief as I can. I have grave concerns for the future of the Muppets under MHC's plan to hire multiple performers via this auditioning process. 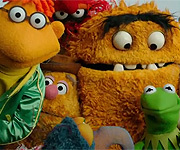 There's also more information available at www.SaveTheMuppets.com. I absolutely don't want to dissuade anybody from auditioning -- if this represents a dream come true, then nobody should take that away from you. But I do think that as Muppet supporters we should consider this issue fully from every perspective. Hey Kynan, not to sound mean, but just read the post before yours. Prawncracker. Disney's assurances are not that strong. It starts with understudies, but there are no guarantees that it ends there. The Muppets never required understudies before. Disney can flood the world with Muppets without using alternate performers. They're Disney. Goshposh said "if any of the Muppeteers can't make an appearance the understudy gets called in. No need to worry no one is getting replaced." So if Steve Whitmire can't make The Tonight Show an understudy gets called in. If a performer is replaceable at all, they're replaceable period. Everyone should at least look at the facts and make up their own minds. Yeah, I saw Goshposh's message before I posted. I think it comes down to your definition of the word "understudy". Or more importantly, MHC's definition. But no matter what that definition is, what we're talking about is more than one performer being authorized to perform each Muppet. It means, even if MHC only hires the absolute best performers, you still won't ever know for sure what you're going to get from any given Muppet appearance. Instead of Dave's Gonzo (or as the rest of the world knows him, "Gonzo"), you could see Jason's Gonzo, Michael's Gonzo, Inigo's Gonzo or Michelle's Gonzo. Each performer can't help but put his or her own spin on the voice, manipulation and characterization. And each performance -- whether on TV or live in person -- is going to affect how members of the Muppet audience perceive that character. Think of the risks of putting understudy performers inside the classic Muppets: They could contradict Muppet continuity. They could contradict character traits. They could make an off-color joke. They could even just go stone cold blank mid-show. MHC can't control these factors during a performance any more than Martha Stewart can control Miss Piggy during an interview. Imagine this scenario: You're a 19-year-old kid with a lifelong dream to work with the Muppets, and whaddya know, you've just passed your final callback audition to understudy Miss Piggy. Eric's in Vancouver shooting a Muppet Halloween special, and MHC needs Piggy to do a Pizza Hut commercial. So you're on set, and you've got the pig up, and a props person hands you a ham and cheese pizza. The line on the autocue says, "Mmm, even the bacon tastes good!" You get a weird feeling in the pit of your stomach. "I don't think Piggy would say that," you say, but the director replies, "She says it in the script, so she says it in the take." This is your first shot at playing Miss Piggy, the biggest break of your life so far -- maybe the last chance you'll ever get, and the whole film crew is waiting on you. What do you do? Do you keep your mouth shut and just hope it turns out okay? Or do you stick to your guns and refuse to do the line, even if it means getting fired? Remembering that if it does cost you the job, that's gonna make the choice much easier for the next understudy in line. These are all real issues that will come up under the understudy plan. I'm not worried about whether Steve or Eric will lose their jobs. But I am worried about whether the Muppets will lose their souls. Oner good thing about these auditions though is that if any members of Muppet Central forum or Tough Pigs forums actually land a job, they will try to be true to the original soul of the character/muppeteer. And I think that's a great positive for the muppets we love. Also the history of most Henson Muppet TV interviews are pre-scripted, so the reporters know in advance what to ask and the Muppeteers knew what to answer. The exception to that being Jim, Steve and Frank and Dave. Maybe one or two other performers as well. Off-camera there was always some Henson company rep seeing that things went as scheduled. I would imagine Disney would do like wise in seeing that all interviews with those hired will be pre-scripted as well to protect Disney, the Muppets and their image. "One good thing ... is that if any members of Muppet Central forum or Tough Pigs forums actually land a job, they will try to be true to the original soul of the character/muppeteer. And I think that's a great positive for the muppets we love." I know what you mean, and I wish I could share your optimism. But loving the characters is so very, very different from actually being capable of stepping into Frank Oz's shoes. Finding a person with the right skills, talent and temperament to become even a moderately capable Muppet performer is astoundingly difficult. Finding another person who has the right skills, talent and temperament to replace a top-tier Muppet performer is next to impossible. Eric Jacobson makes it look easy to slide into somebody else's parts. You know how he managed that? Not just by being freakishly talented, but also by working at it for his entire life. And to get the parts he's playing, he had to be better than a whole bunch of other guys who were also freakishly talented and who'd ALSO worked at it their entire lives. We're talking million to one shots here. But once recasting is under way, do you think MHC will just stop if they can't find a perfect replacement? Of course not. They'll settle for an imperfect replacement. And every compromise at every level is going to take the characters further away from themselves. At the same time that I understand what everyone is worried about, I sincerely don't think Disney/MHC would ever compromise the characters or the fans perspectives of the characters because they just laid out a load of money on them. I don't think they'd run off the entire fan-base by dropping Steve or Eric from a production...or from the ranks of Muppetdom altogether. I don't think understudies are a bad thing. 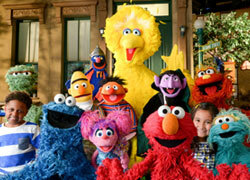 Matt Vogel hasn't replaced Carroll Spinney on Sesame Street, and he's HIS understudy. Also, it would be rather stinky if, again, the Muppets ended up losing a performer and nobody there to voice the character. We're already without anybody to perform Jerry's Muppet characters since he's retired from that. It took YEARS to get someone to perform Frank's characters and get the Muppets back into the swing of entertainment the way they were prior to his retiring (and you know that his voice-over work instead of on-site performing held the Muppets back from their true level of entertainment). Look how long after Jim and Richard leaving us that it took to get voice replacements for that. Yeah, I'm sort of contradicting myself by saying "replacement" after I just said "they ain't gettin' rid of the originals." Still, the "replacement" that I list for are for those who have actually LEFT by passing away or retiring. I also don't think the 'stand in performers' will be taking over major spots like interviews, movies, television shows, or commercials. If anything you might see them at mall openings, college dedications, and maybe something as grand as a travelling show--but, even then, if you think to Lion King on Broadway's travelling show, the voices for Timon, Pumba, and Zazu were great, as were the performances of the puppets! I don't think Disney's gonna let us down on this. I don't think they underestimate the Muppet fan community at all. I don't think Disney is going to put an end to the work of those we've come to know and love all these years for any amount of money. Like you said: They're Disney. We ALL know Disney is money-driven! They aren't going to lose all the money they just spent on the characters by running off the fans. Least, that's my take on it. And you know I'm not just a casual fan. Love the Muppets, love the original performers...all of that. Besides, there may be some of the original performers there AT the auditions. I bet that Todd is readding this and is just laughing! Some of you guys just NEED TO STOP here! and that website of your Save The Muppets.com, you know its not gonna work. i read somewhere that steve was first mentioned as play kermit when jim was still alive to be an understudy for jim! this was because jim was starting to become very busy. so its not like jim would be against this sort of thing. but i'm like a lot of other people and that i dont want the characters to fall in the wrong hands. Friday, September 23. Call time 10:00 am, Screenland Studios 10501 Burbank Blvd. N. Hollywood, CA 91601. Call backs are on Sept 24th. They may not be against hearing some other characters, but these are really the ones that the company is casting for. Did you get the L.A. date directly from Todd? I haven't heard anything, but I'm sure it'd be nearly impossible to call everyone back. I just wanted to double-check before I book my flight and stuff. Also, from talking to Todd, did you get a feeling (or ask outright) of "the more the better" when it came to character voices (I would think so, to save on payroll, but I also think they would want the best match for each character)? I ask because I really only do Kermit spot-on, with a moderate Rowlf and Dr. Teeth (who aren't even on the list! ), an okay Gonzo & Bunsen, but a severely close Animal! Thanks for any (more!) info you can provide! I would think putting your best foot forward would be the thing to do. Why would they want to hear a voice that was only "sort of" what they were looking for? If you do a great Animal or Kermit, put everything you have into those voices. More than likely, the first day will consist of 30 seconds to a minute of their time. They won't listen to your whole schtick, especially if there are thousands of us there. I, on the other hand, seem to blessed/cursed with being able to do Richard's characters. I do a great Scooter, Janice and a passable Statler, but I'm going to go down and try anyway. At least I don't have to book a flight, though. Heya Kev. It's so cool that so many people are chiming in on this debate. MHC's plan to cast multiple performers is a big decision and it's really important that fans talk about the issue like this. I totally agree with the spirit of your post. I disagree with MHC's specific plans -- I think they're going about this in the wrong way. I think understudies are a good idea, too. The Matt Vogel/Carroll Spinney situation is a great example. Trouble is, that's not what MHC is doing. Matt worked alongside Carroll on a daily basis. Matt only appears as Big Bird when Carroll is genuinely unavailable. Carroll is the final arbiter on all character decisions. But MHC is casting performers all across the country, performers who won't be mentored one-on-one by the Muppeteers, and performers who will be on call to perform concurrently, even simultaneously to the established guys. You're almost certainly right in assuming the understudies will start out by showing up on TV shows, commercials or films. But once the understudies are cast and working, there's nothing stopping them from doing so. Additionally, I don't think there's a distinction between 'small' appearances like mall openings and 'large' appearances like TV interviews. If Kermit shows up at a graduation ceremony, Steve takes that every bit as seriously as when Kermit appears on Good Morning America. And the thousand or so people in the college crowd are watching Kermit just the same as the million or so who'd see him on TV. Where do you draw the line? Is there a formula based on the number of people likely to be watching? That doesn't make sense. "They're Disney. ... They aren't going to lose all the money they just spent on the characters by running off the fans." I think that MHC is underestimating the level of caring and intelligence in the Muppet community. I also think that they're going to want to justify all the money they just spent by turning some profit pretty quickly. And the quickest way to that profit is to franchise the characters. A Kermit at EVERY college graduation is easy money for Disney, and an easy way to turn the Frog into just another disposable corporate mascot. I think it's important to not draw conclusions as to what Disney wants to do. Kynan makes it seem as if there will be many, many Gonzos and Kermits and Piggys etc all over the country performing. We have no proof of that. What we do have proof of is that Todd told us that this is for an “Occasional” appearance. Occasional could be once every three weeks or once a month for example, or maybe even less. And if Disney does pick one performer for each character, I expect Disney would eventually want these new Occasional Muppeteers (O.M.) to meet the regular performing troop and shake hands and share knowledge and skills. That makes sense to me. That the O.M. would eventually meet their star Muppeteer counterparts and hopefully in time they would become a family of performers and perhaps 1 or 2 O.M. might eventually be upgraded to the main troop. Sort of like having the big league and the minor league use each other ‘occasionally’ to tap each other for talent. Let’s not let this thread become the Titanic. We don’t know the details of how many will be cast and if the O.M. could be employed only 6, 7 or 8 times only a year. We don’t know, no one knows yet. So let’s not say the apples are rotten at the bottom of the barrel until the barrel has been opened and all apples examined. Once this is all resolved we might end up with some yummy Apple Pie! I do a pretty mean Janice, but I'm 15. Oh well. "Like, wow, I do a pretty mean Janice, for sure, okay!" Los Angeles Audition Info: CONFIRMED! The Los Angeles audition location/time has been confirmed. Those of you who have already called the hotline, 407/828-1087, will probably start hearing from Todd pretty soon if you haven't already! EDIT: Just realized that Foz posted this info in his archive of audition info a bit ago. If the mods wish to duplicate this posting due to it almost being a duplicate, thats OK! I know I sayed Guy Smily?!! on the Phone to Todd and he laughed and sayed Yep Guy. I told him the last time he talked was b4 Jim died? Iam I right? I can do ALL the "Disney Muppets" but NOT , so I have 9 chances there and 4 chances for "Sesame Muppets" but NOT Elmo so all togeather I have 13 chances! Information is updated in 'Post 51.' (It's on Page 4, or you can click below to see that particular post). OverUnderAround, let me share a big slice of delicious, hot apple pie with you for taking the time to think about this stuff! You are absolutely 100% correct: "It's important to not draw conclusions as to what Disney wants to do." Having said that, I don't think we can assume, based on the available information, that MHC is only planning to cast one understudy per character. If that were the case, wouldn't they want the successful auditionees to relocate? Having a guy on standby to play Pepe at a moment's notice when Bill isn't around, becomes a lot less convenient if that guy is living in Toronto. The idea that MHC would fly their one new Kermit understudy around the country for one or two appearances a month just doesn't make economic sense. And if there's one thing we can assume MHC is trying to do, it's make economic sense. "I expect Disney would eventually want these new Occasional Muppeteers to meet the regular [performers] and shake hands and share knowledge and skills. That makes sense to me." It makes sense to me, too, but I'm not assuming it's going to happen. That's the big reason I want assurances from MHC: We can't assume the worst of this, but we also can't assume the best.